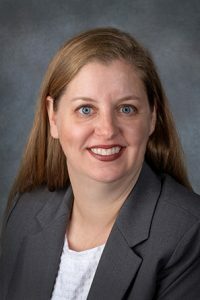 Bennington Sen. Wendy DeBoer, sponsor of LB679, said the Legislature should rework the state’s school aid formula, created in the late 1980s, to address Nebraska’s changing economy and demographics and the formula’s overreliance on property taxes to fund public schools. The bill would create a 20-member commission with the task of finding alternative financing methods that provide equitable educational opportunities to all students. 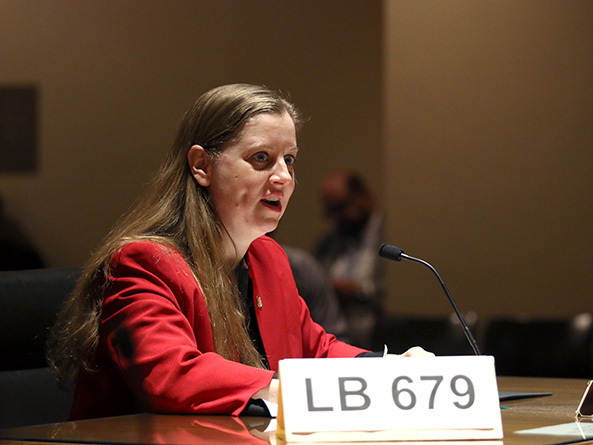 Lawmakers need to provide property tax relief in the short term, she said, but a commission is needed to find a long-term solution because it could focus solely on school financing, something she said the Legislature as a whole does not have the time to do. The commission would present its final report and recommendations to the governor, the state Board of Education and the Legislature by Dec. 1, 2020. Beginning in 2020 and ending in 2028, the commission would report on the adequacy of school funding sources every other year. It also would review implementation of the recommendations in those biennial reports. DeBoer said the commission could serve as a longstanding, external advisory body to monitor and sustain the Legislature’s school funding strategy at a time when term limits have shortened institutional memory. Kyle McGowan testified in support of LB679 on behalf of groups representing school administrators, teachers, school boards, rural school districts and others. A formula that distributes more than $1 billion per year to public schools should be subject to regular review to ensure it works efficiently and equitably, he said. Dave Welsch, president of the Milford Public Schools board of education, also testified in support. Welsch said the current formula could not compensate for the unprecedented increase in agricultural land valuations over the past decade. That increase resulted in a loss of state equalization aid to many rural districts, he said, which had to make up the difference by increasing property taxes. “A study is needed to determine how other states have moved away from an overreliance on property taxes to other sources of revenue to fund education,” Welsch said. Renee Fry, executive director at OpenSky Policy Institute, also testified in support. She said school finance is a complex issue that is difficult to address within the context of a legislative session. Fry said a commission similar to the one proposed in LB679 helped create the state’s current school aid formula, which was adopted in 1990. It also led to the creation of a school finance review committee that monitored the formula for a few years until it was disbanded for financial reasons, she said.